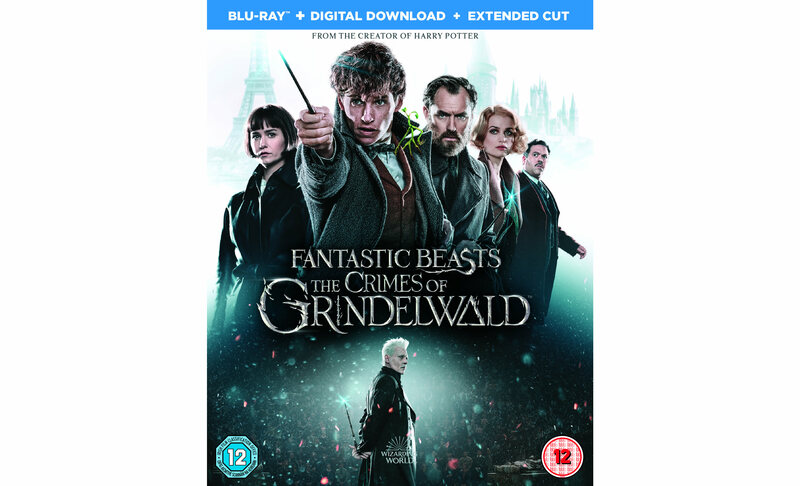 Welcome back to Hogwarts when “Fantastic Beasts: The Crimes of Grindelwald,” the second of five all new adventures from the Wizarding World™ created by J.K. Rowling, arrives on 4K Ultra HD, Blu-ray™, 3D Blu-ray, DVD on March 18 and out now on Digital Download. To celebrate the release, we are giving YOU the chance to win a signed poster from the cast and a copy of “Fantastic Beasts: The Crimes of Grindelwald” on Blu-ray™! “Fantastic Beasts: The Crimes of Grindelwald” features an ensemble cast led by Johnny Depp, Eddie Redmayne, Jude Law, Katherine Waterston, Dan Fogler and Alison Sudol. At the end of the first film, the powerful Dark wizard Gellert Grindelwald (Johnny Depp) was captured by MACUSA (Magical Congress of the United States of America), with the help of Newt. But, making good on his threat, Grindelwald escaped custody and has set about gathering followers, most unsuspecting of his true agenda: to raise pure-blood wizards up to rule over all non-magical beings. 4K ULTRA HD, BLU-RAY™ AND 3D BLU-RAY™ INCLUDE AN EXTENDED CUT WITH DELETED SCENES. WIZARDING WORLD and all related characters and elements are trademarks of and ©Warner Bros. Entertainment Inc.